Hello everyone! Today we're able to show you guys some update on the fish design! Couple of weeks ago we talked about how we wanted to implement fish variety feature. With variety of fishes to play with, some providing benefits while others are pretty bad for the Polar Bear. These fishes were designed to provide choices for the player, design-wise. Decisions to be made in mere seconds that could impact player experience. Variety Of Cute Fishy! Designed By Our Brilliant Artist! Introducing the fishes, here are the things that they can do to the Polar Bear. 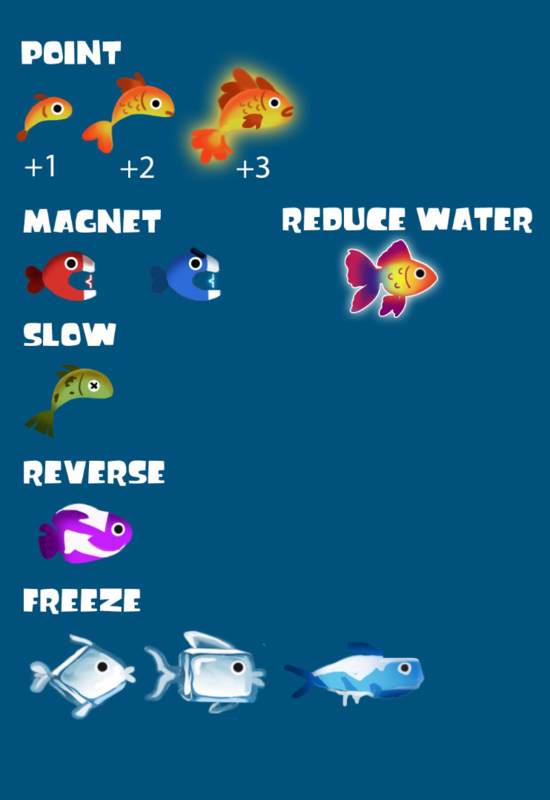 Point Fish: These add points to the score. There are 3 variety of this, each with higher score than the other. 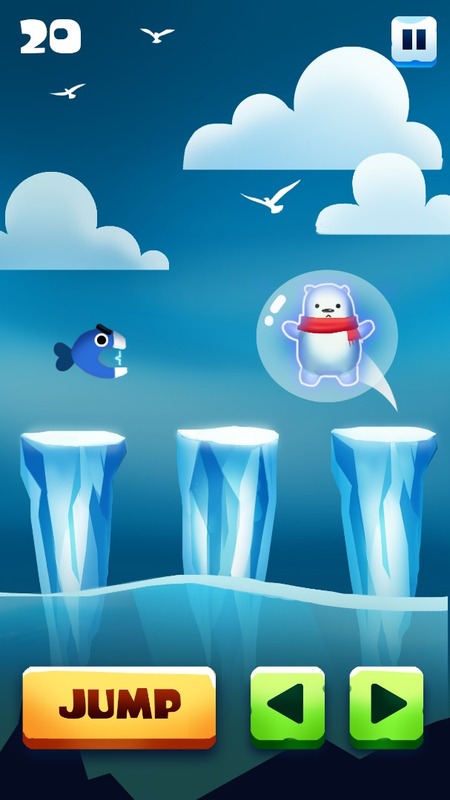 Magnet Fish: There are 2 kinds of magnet fish, one that attracts good fish in the Polar Bear's surroundings (so he doesn't have to go to them). The other that repels bad fish, to protect the Polar Bear. 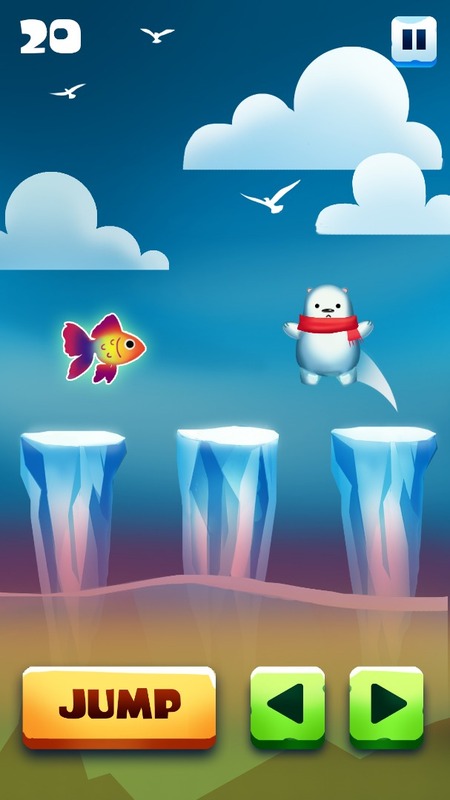 Rainbow Fish: This fish will magically reduce the water level, giving more time for the Polar Bear to survive. Slow Fish: Eating this fish will slow Polar Bear's movement, making him sick =(. Reverse Fish: Eating this fish will reverse the movement controls, disorienting the Polar Bear. 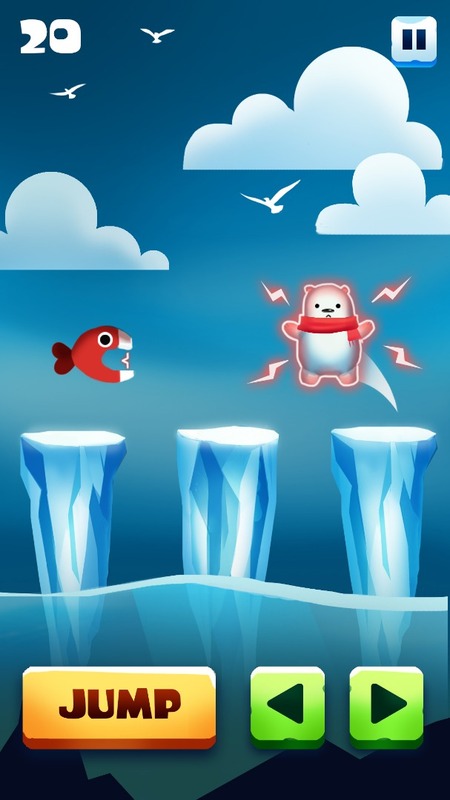 Freeze Fish: Eating this fish will freeze the Bear's movement, spam the controls to get out of it! Some of the challenge that we have was really about game feel. How do we show feedback to the player that these are affecting the Polar Bear. Here are some of the examples of how we can show visual feedback.